Women's Core Museum Classic watch. 28 mm gold PVD-finished stainless steel case. Stainless steel classic tongue buckle closure. Black Museum dial with tone-on-tone outer ring and gold-toned dot. 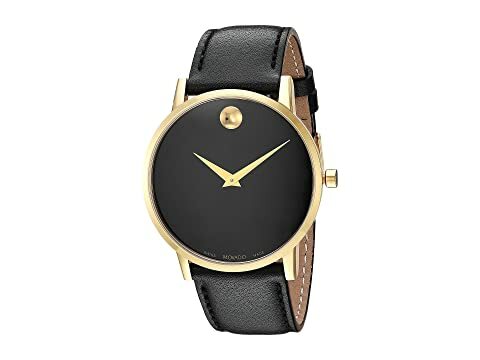 We can't currently find any similar items for the Core Museum Classic - 0607271 by Movado. Sorry!